It is easy to understand why these romantic comedies are popular among Filipino audience: they present a fantasy most can relate to. Also, they are cute. A refreshing alternative to the boohooohoooo of Filipino dramas. As a reader, this is also why I wished for these Koreanovelas to have book counterparts. And ta-da! 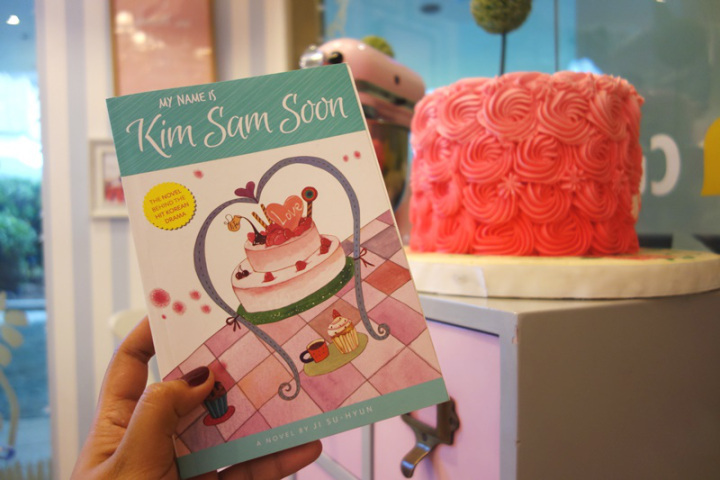 Kim Sam Soon! I love pastries so you can just imagine how enjoyable (and frustrating) it was to read about Sam Soon baking and tasting cakes. Now I’m not sure how exact the translations from the Korean version are but to me, the descriptions are vivid. I could see the fluff of the icing on the page. If your imagination needs a trigger, the pretty cover might help. And don’t worry much about how the story turns out. The book retains the trademark antics of the Sam Soon TV show we all know of. It also includes an Author’s Note from Ji Su-Hyun after the story ends. Hi Hazel! Thank you for reading our review. Yes, you def should pick this up. Enjoy the book! Hi! Thank you for the review! The book looks awesome! And since I love this movie sooo much! I bet the book is even better. I was wondering if you would know where to buy or order the book from? If you could get back to me ASAP! I would appreciate it so muchhh!! !